I’m not sure if we addresses this yet, but I’m obsessed with soup. I know you’re probably thinking, “Poor Girl, you’re obsessed with an awful lot of things”, and you would be correct, I am. 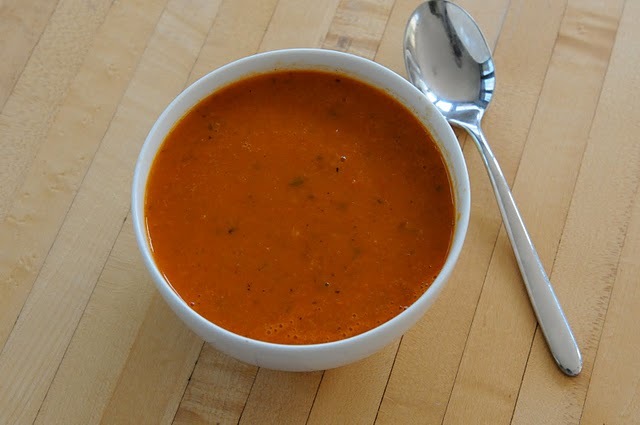 But stay with me cause soup is good and fall (another obsession) is coming up. 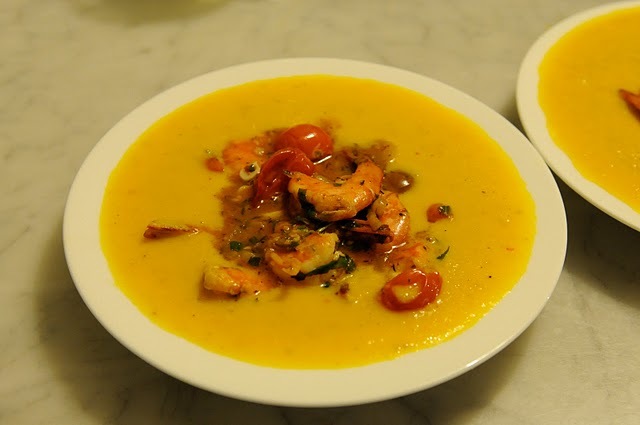 The lovely Abigail, over at Gus & Other Things has an amazing recipe for Prawns with Garlic, Chiles and Yellow Tomato Confit (top) and Tomato Soup (below). Both recipes totally fit the bill for Poor Girl food. They’re easy to make, not expensive and will totally blow the minds of anyone you serve it to. I will be making and freezing massive amounts of this goodness and you should too! Stop by Gus & Other Things and say hi and to Abigail.